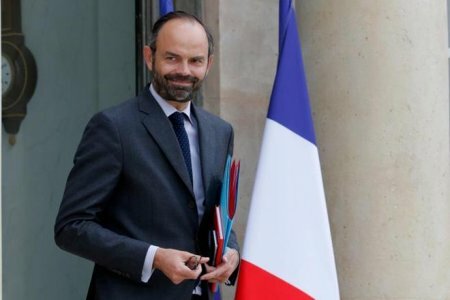 The French government released yesterday its roadmap to improve the integration of migrants it welcomes on its territory. The United States can learn from its approach. According to the French version of the Huffington Post, this announcement could be the "humane" side of an immigration policy that is otherwise inflexible when it comes to illegal immigration. Doubling the hours of French lessons provided to migrants. Reforming the "contrat d'intégration républicaine" (Republican Integration Contract) between the French government and migrants residing in France. Under the current version of the contract, enacted in 2016, migrants were asked to commit to completing every training recommended by France's Office of Immigration and Integration. The improved contract will encompass a lengthier civic training program (the duration is to double starting 2019). It will also include a framework to facilitate migrants' access to the job market. For refugees in particular, the government will offer "individual social support" as early as 2019. The aim is to accompany refugees during their first months and help them through administrative tasks related to healthcare, social benefits, job training, etc. Those who suffer from post-traumatic symptoms are to receive better care. More effort is also to be deployed for refugees to secure jobs in accordance with their skills. For traumatized people who have suffered a lot, like refugees, integration can be especially difficult. As I've noted before, it is important that resettled refugees in the United States be provided with every tool possible for successful integration. By admitting fewer refugees and focusing on better and longer-term care for each one, the Trump administration can ensure that they receive the appropriate, personalized help necessary to build a successful life in the U.S.
Prime Minister Philippe summarized his government's stand on integration with these words: "Integration begins with the sharing of values: values of the Republic, secularism, equality between women and men." Shared values are not only indispensable for successful integration; they are also the best shield against radicalization. Why not a contract to set the grounds for successful integration in the United States as well?